Song of the day: Jason Karaban – "Devil That I Know"
Just a little bit longer before I get around to actually playing you actual Australian songs on this Australian blog. If you’ll indulge me for just one more day (i.e., today), I’d like to pester you with a new song from an American gentleman. I received an email from a bloke* called Jon (Hi, Jon!) who runs a record company called Ascend Records. 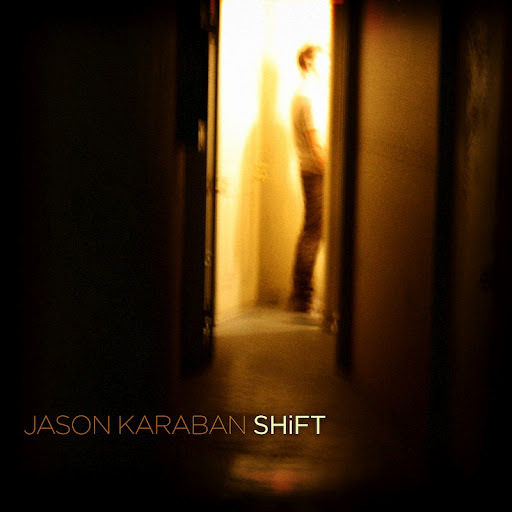 Jon told me about a musician called Jason Karaban who’s about to a release an album called Shift. Jon sent me a song from the album to listen to. My favourite part of the song would probably be in the middle eight, where Jason sings “…they’ve arrived too soon…” (1:37-1:41). I think the vocal note Jason chooses for the second syllable of “arrived” is gorgeous. I also loved the occasional “la-la-la-la”s. As far as I’m concerned, a song can’t have too many “la-la-la-la”s in it – unless the song has lyrics that consists of nothing but “la-la-la-la”s. That’d probably get a bit irritating. My least favourite part of “Devil That I Know” is that weird distorted female wailing backing vocal in the last chorus. I couldn’t quite see (or more importantly, hear) the point of that. It starts with wat sounds to me like a kraken awakening at 1:56 than appears again at 1:58 with the lady sounding like she’s shouting from the bottom of an especially deep tin mine. (She sounds like she’s shouting for someone to rescue her.) Then she sings some “doo-doo-doo”s at 2:03 that sound really weird because they’re ultra-distorted (like the other kraken sounds). And then it’s Jason singing in that hideous, distorted way at 2:11. (I think it’s Jason, although it’s hard to tell because of all that distortion.) It’s entirely possible that the distorted voice is the Devil that Jason knows, but I don’t know Jason well enough to make such assumptions about his personal life. And while I’m grumbling slightly, I’d like to state that I’m not a fan of the cover photo for Shift. (See above.) When I first saw the photo I thought it was one of those blurry, arty shots that occasionally feature on album covers, but when I had another look I noticed that it apears to be a photo of a man urinating. I’m hoping it’s not. I’m hoping it’s a photo of a man in another room looking at a digital camera and trying to get it to work because the person who took the photo with their camera did a bad job of it (i.e., the photo came out blurry). Or maybe he’s just urinating. I’m going to go with the benefit-of-the-doubt scenario and believe that Jason may not have been aware of that Merrymakers song, and that it’s a complete coincidence. Possibly. But I’m very pleased that I got through the whole post without once mentioning Kylie Minogue. If you’re looking for a far more sensible post about Jason and his music (If I were you, I would be), there’s one over at the blog entitled Ice Cream Man Power Pop and More (Ding Dong). Oh, and last thing (that I should have mentioned at the top of this post), Jason’s album will be released on Tuesday September 4. You are currently browsing the archives for the Jason Karaban category.